The new segment, which is part of the Phase-III of the DMRC network would cover areas from Majlis Park to Shiv Vihar. New Delhi: The Delhi Metro is all set to open the 9.7-km Lajpat Nagar-Mayur Vihar Pocket 1 section of Pink Line on December 31 as a New Year gift for its riders. The corridor has three underground stations; Lajpat Nagar, Vinobapuri, Ashram and Hazrat Nizamuddin, and two elevated stations, Mayur Vihar Ph-I and Mayur Vihar Pocket-1. The Lajpat Nagar-Mayur Vihar Pocket 1 section of Pink Line was first inspected by the Commissioner of Metro Railway Safety (CMRS), who approved its passenger operations, stated a senior DMRC official. The Pink line is 59 kms long. 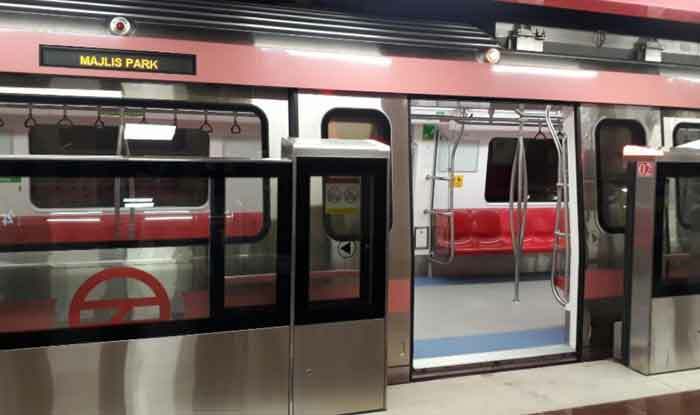 “This extension of the Delhi Metro’s Pink Line will be formally flagged off by Union Minister of State (Independent Charge) Hardeep Singh Puri and Delhi Deputy Chief Minister Manish Sisodia on December 31 at 11 AM from Metro Bhawan. Passenger services will commence on this section on the same day from 4 PM onwards,” an official told PTI. The DMRC commenced operations on December 24, 2002. It was inaugurated by former prime minister Atal Bihari Vajpayee. Presently, it has 231 stations spanning a network of 317 km. The new segment, which is part of the Phase-III of the DMRC network, would cover areas from Majlis Park to Shiv Vihar.